Heat oven to 375. Coat a large cookie sheet* with nonstick spray (with or without flour). In large bowl, mix together flour, coconut, 1/4 cup sugar, lemon zest, baking powder and salt. In small bowl or glass measuring cup, whisk together cream and eggs. Pour over flour mixture, add strawberries. Carefully fold the strawberries and cream together with the flour mixture until it is mixed and the dough clumps together. Scrape onto center of prepared sheet. Gently pat into 9" round shape. The dough will be very sticky. Sprinkle with 2 tablespoons of sugar. Coat long knife with nonstick spray; score round into 8 wedges. Do not cut all the way through and or separate wedges. Bake 30-35 minutes until puffed and well browned, and wooden toothpick inserted into center of the dough comes out clean. The strawberries will caramelize on sheet but the toothpick should still come out clean. Re-cut wedges along the indentations. Serve warm or at room temperature. *Even though you end up with a 9 inch round, I do not recommend using a pie plate for this recipe. You will get the best results using a cookie sheet. Trust me. This would be fun dish for brunch. 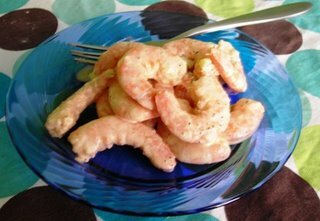 It is fairly easy to make and the results are excellent. Be forewarned though, these scones are best the day there are made. 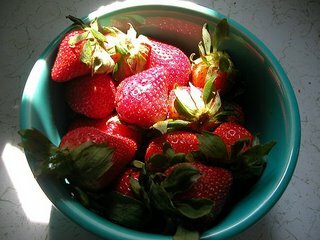 Due to the fragile nature of strawberries, they can get moldy even after they have been baked. I would only make this the day you are planning to eat it and as close to the serving time as possible. You'll want to eat the scones warm anyway and I've never had leftovers so it's not as big of a deal as it seems. Preheat oven to 350. Lightly spray one cookie sheet with spray oil. In a medium sized bowl whisk together flour, salt, and baking soda. In a large bowl, cream together the butter and sugars until light and fluffy. Add the egg and vanilla and combine thoroughly. Gradually add the flour mixture to the sweetened butter. Once thoroughly combined, pour in the chocolate chips and toffee bits and distribute evenly using the mixer on the lowest setting. 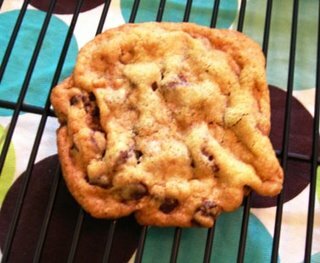 Form cookies by dropping 1 teaspoon of dough on the prepared cookie sheet two inches apart. Flatten the cookies slightly with the back of a spoon. 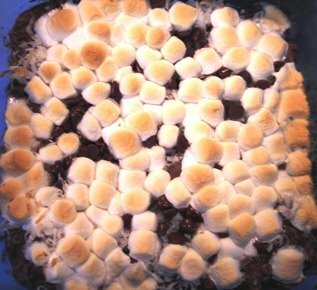 Bake until light brown, about 12-15 minutes, depending on cookie size. Remove from pan and cool on wire rack. These cookies are as close to immediate satisfaction as one can get in a cookie. They are a snap to mix together and bake up quickly. Even after they cool, they retain a slight chewy texture and there is a lot of chocolate and toffee goodness spread evenly apart. The dough stores well in the fridge for about a week so you can make fresh cookies when ever you get the urge. What more could one ask? Preheat oven to 350. Lightly grease or spray one 8 inch square baking dish. Using a knife cut off the stem end of the squash. Insert a small spoon or melon baler and scoop out pulp, leaving a 3/8-inch deep shell. Reserve pulp. Bring 4 cups of salted water to a full boil. Add the squash shells and parboil 2 minutes. Remove and drain. Set aside. Mince pulp. In a skillet, heat oil over medium-high heat. Saute the onion and chopped squash until tender, about 5 minutes, stirring occasionally. 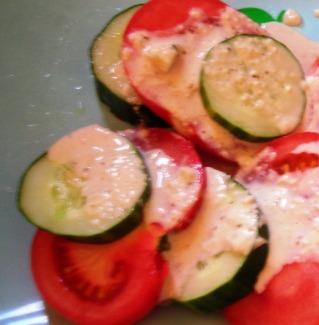 Remove from the heat and in a small bowl, combine with the cheese, bread crumbs, oregano and salt and pepper to taste. Use a small spoon to fill the shells completely. Place in prepared baking dish. Bake about 15 - 20 minutes, or until heated through. *Parmesan would make an excellent substitute for Romano. 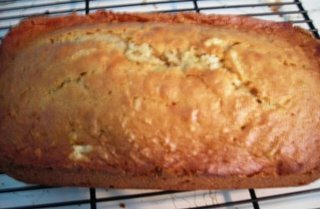 I originally came up with this recipe some years back when I wanted to stuff some 8 ball zucchini** I picked up at a farmer's market. I liked the results then and when I saw some tiny pattypan squash at my favorite produce stand I thought an adaptation was in order. Since the flesh of pattypan squash is rather dense you have to be a little aggressive scooping the pulp out but it isn't difficult, especially if you have a sharp melon baller or a pointy spoon. 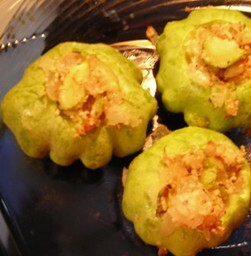 A major plus is that pattypan is a much easier variety of squash to find than 8 ball zucchini. Plus "pattypan" is a fun word to say. **8 ball zucchini is a small round variety of zucchini. You can follow this same recipe with great success, but since 8 ball zucchini is round, you will want to knick a little bit off the bottoms of each zucchini so they don't roll around in the pan. 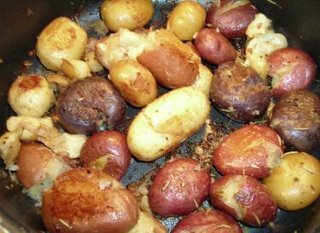 In a medium pot, saute garlic in olive oil until just golden. Remove from heat. Add anchovies and mash the two together with the back of a wooden spoon. Then add the pepper flakes and cook on medium heat for 2 minutes. Add the tomatoes and salt. Continue to cook 20-30 minutes or until the tomatoes and olive oil has combined. There may be a slight film of oil on top. This is normal. Add the parsley and cook an additional 5 minutes. Toss with pasta and serve with plenty of freshly grated Parmesan. *Pour tomatoes into a bowl and crush by hand. My husband is from Staten Island (NYC) where there is a large Italian population. Right near his parent's house there is this amazing Italian grocery that makes their own mozzarella, salads, sauces, pastas and bread. 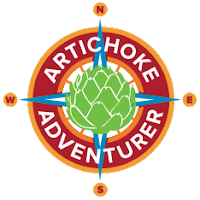 Whenever we are in town we always stock up on goodies like anchovies packed in olive oil, unusual pastas, vats of olive oil and other hard to find imported goodies. Since it's summer, we had to stick to nonperishables this visit but we did bring home some delicious packed-in-Italy canned tomatoes and some wonderful freshly made Italian bread. Only a couple hours after making the 3 1/2 hour drive back to Baltimore, my husband made this yummy sauce using the tomatoes. 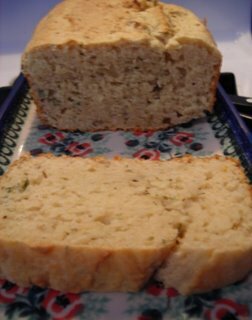 It's really quick and easy to make and goes wonderfully with some good Italian bread. It's also not fishy for those of you who are afraid of anchovies. 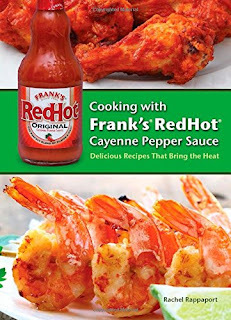 They melt right into the sauce and add a wonderful depth of flavor with no fish taste. 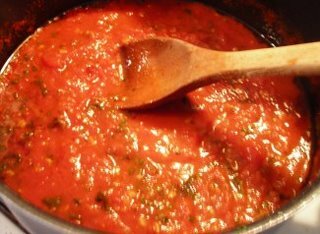 I like using lots of fresh parsley in tomato sauces, especially when using canned tomatoes. 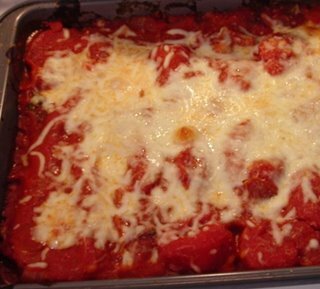 It really makes the sauce taste fresh in a way that is often hard to accomplish with canned tomatoes. It is also a good idea to use the highest quality of canned tomatoes possible. Preheat oven to 350. Grease and flour or spray (with baking spray with flour) 1 9x5x3 loaf pan. In a medium mixing bowl, combine sugar, zest, lime juice, egg and butter until fluffy. Add the milk and apple, mix until thoroughly incorporated. Add flour, baking soda, baking powder, and salt. Mix thoroughly. The batter will be lumpy from the apple. Pour into prepared loaf pan. Bake 30-45** minutes or until a toothpick inserted into the center comes out clean. Cool in pan about 5 minutes then invert to a wire rack. Slice and serve when cooled to your liking. *"regular" lime juce and zest would work just as well. 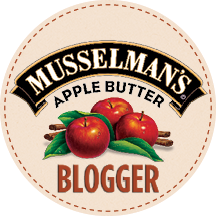 **It really depends on how moist your apple is, the juicer the apple, the longer it will take the bake. If it takes a really long time (over 45 minutes) or starts to get really brown on the edges while still raw in the middle, drop the temperature down to 300 and continue to bake. Why key lime and apple you might ask. Why not key lime and something more tropical? The truth is I needed to make something to use up the key limes I had left over from making the coconut key lime pie. We are leaving tonight to go to NYC for weekend to attend the Renegade Craft Fair and I just knew the limes would go bad while we were away. I had one apple left in the fruit bowl so I used that up too. 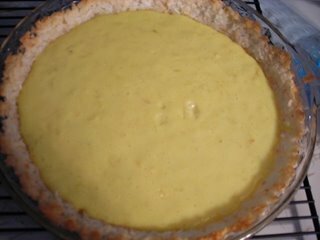 That being said, it really is a good combination, I was pleased with how well the flavors of the tart key limes and the tart apple complemented each other. As a bonus this recipe also came together very quickly. I was shredding the apple while I was creaming the butter and sugar (yay stand mixers!) and was able to get the whole thing in the oven in about 12 minutes. I plan on wrapping the rest up and taking it with us for tomorrow's breakfast. Preheat oven to 250. Grease or spray (with nonstick spray with flour) one 9 inch pie plate. In a small mixing bowl, beat egg whites until stiff peaks form. Beat in sugar until dissolved. Fold in coconut and flour. 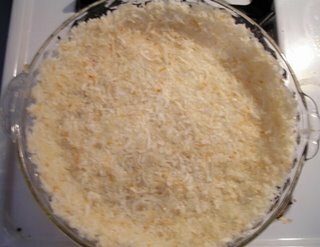 Press coconut mixture evenly along the bottom and sides of the pie plate. Bake for 10-14 minutes or until set. Keep a close watch to make sure it doesn't burn. Remove from oven and allow to cool before filling. *You can use sweetened or unsweetened flaked coconut. If you use sweetened, you might want to reduce or eliminate the extra sugar. This is a good crust to make for either a "icebox pie" that you don't bake or for a more traditional baked pie. I used this as a base for a coconut key lime pie but its usefulness certainly isn't limited to that. I'd love to use this as a base for a chocolate pie. Preheat oven to 350. Line or grease and flour 24 wells in a cupcake pan. In a large bowl, combine baking soda, flour, sugar and salt. In a measuring cup or small bowl, beat together the eggs and oil. Add to the dry ingredients and mix thoroughly. Fold in the crushed pineapple and its juice. Pour about 3/4 cup of batter in each well. Bake 15 minutes or until the cupcake looks "set" and bounces back to touch. Cool on a wire rack then ice. These are excellent with pineapple cream cheese icing . I have been doing a ton of baking lately! We had my mother and aunt over for lunch today and I made these for dessert. I had planned on serving some of the yummy coconut and lime cupcakes I had made last week and froze but they defrosted unevenly in our humid weather. 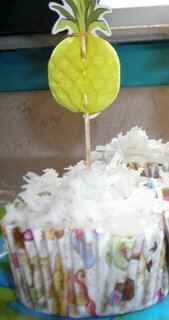 I wanted to keep with the tropical theme so I quickly developed this recipe. 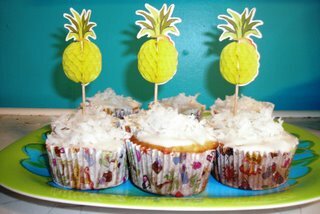 It is really tasty, moist and have tiny bits of pineapple throughout. It was also a big hit at lunch!